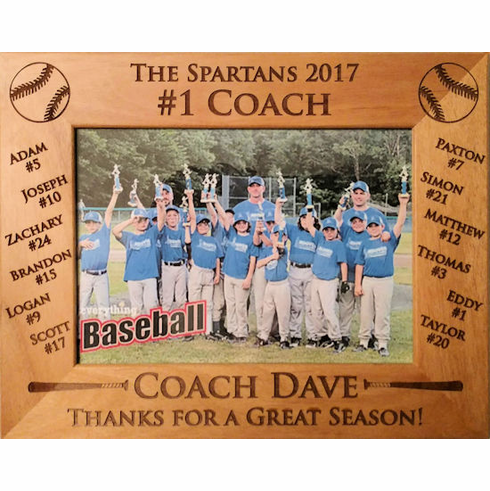 Custom wooden baseball team photo frame - perfect gift for your baseball coach! Horizontal / landscape design...perfect for your team photo! All images and text are engraved...you choose the text on all four sides! 8 character maximum per name! Solid wood frame with glass. Frame with 4" x 6" opening is $34.99. Frame with 5" x 7" opening is $39.99. Frame with 8" x 10" opening is $59.99.